Kenya is home to great and glorious wildlife and has plenty to offer when compared to other African nation. Masai Mara National Park, located towards the southwest of Kenya is the land of ultimate experiences and a destination that everyone wants to visit. 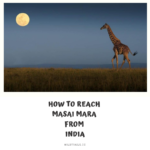 How to reach Masai Mara from India ? Which is the right way to reach Masai Mara ? What is the flight distance ? Do you also have the same question as everyone else. When planning a Safari in the Masai Mara you have to define how long you will stay, what your main interest and priorities are and you have to define your budget. 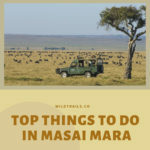 These criteria will affect the choice of accommodation and also the mean of transport to reach the Masai Mara.The Masai Mara National Reserve, known as the Masai Mara is about 280 Km from Nairobi. Daily flights like Kenya Airways, Ethiopian Airlines, Emirates, Jet Airways, Air India, Etihad Airlines are the carriers that will take you to Nairobi Airport, from India’s metro cities. Book flights at least 2 months in advance to get better fares. 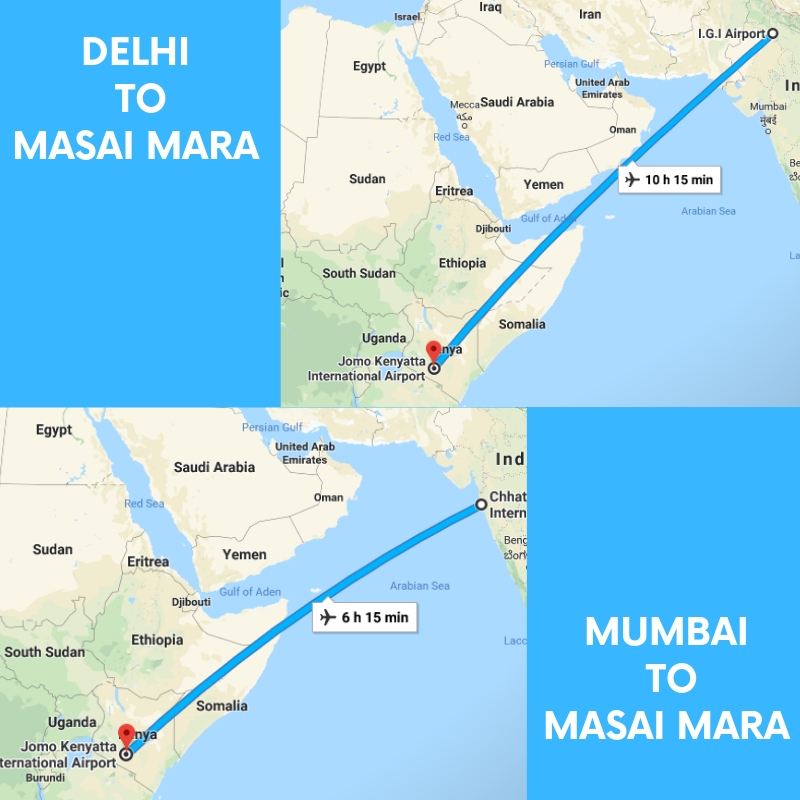 The quickest way to reach Masai Mara, Kenya from India is by taking a direct flight from Mumbai to Nairobi. There are daily flights departing from Mumbai, India, in the morning and arriving in Nairobi, Kenya by 11 am. This gives you enough time to head straight for your safari. From other Indian cities like New Delhi, Bangalore, Pune, Calcutta and Chennai, you can either connect to the Kenya Airways flight departing from Mumbai. Alternatively, there is good connectivity from the Middle East. Ethiad, Emirates & Qatar Airways always connect to Nairobi on the daily basis. According to Wildtrail Recent Sightings you need to research properly about the destination before going for any wildlife trip. There are two options for your doubt about how to reach the Masai Mara when you come from Nairobi. You can choose to come by road or to fly to the Mara. Masai Mara is a 4.5-hour straight drive from the airport. Private taxis are the best option to travel to Masai Mara from the airport. 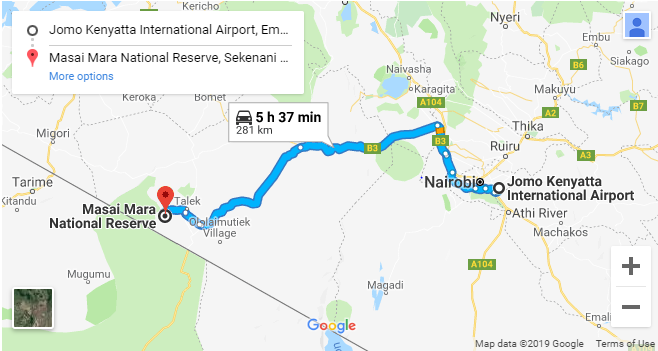 Narok is the main point of access to this region and is a 3-hour drive from Nairobi; from Narok, the transfer to your lodge will take between 2 and 4 hours, depending on which part of the park you’re staying in and also on weather conditions. 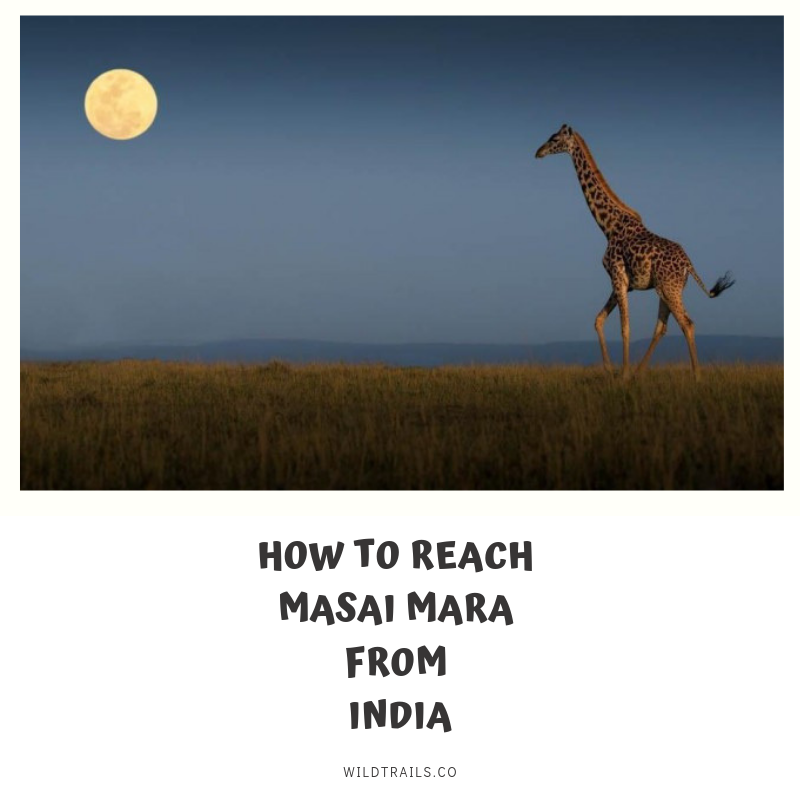 How to reach Masai Mara by Air — A far better option — and the only one if time and comfort are of any consequence — is to fly directly into the Mara. There are daily scheduled flights from Nairobi (AirKenya and Safarilink have two flights each), the coast, and Nanyuki (for connections from Laikipia). Wilson Airport and Jomo Kenyatta International Airport (JKIA) in Nairobi is the nearest airstrip to Masai Mara National Park. It takes about 45 minutes from Airport to travel to Masai Mara. Also, you can fly all the way to Mara from the international airport which takes 45-minutes. 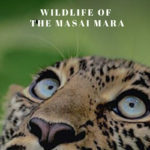 If you want a hassle-free best sightings experience in Africa and if you still have doubts about how to reach Masai Mara from India then you should definitely contact Wildtrails Recent Sightings Experts. What are the chances of witnessing Wildebeest Migration?